Business relationships must be based on trust, as I was reminded last week in southwestern Nigeria. While developing some training videos on milk with the Fulani people, we discussed trust almost daily. The fact that the Fulani openly addressed this, was in itself some suggestion of the trust they put in me and my wife Marcella, who does all the filming. Yet during our three week filming visit we learned that building trust also takes time and can happen in unexpected, unplanned ways. Cattle are at the very heart of Fulani society, their livelihood and culture. The more animals a family has, the better off they are. In the past, the Fulani people lived mainly in the semi-arid zones of West Africa, stretching from Senegal to Sudan. But with rainfall becoming less predictable and with greater pressure on land, many have settled in the more fertile, humid zones and now combine growing crops with livestock. 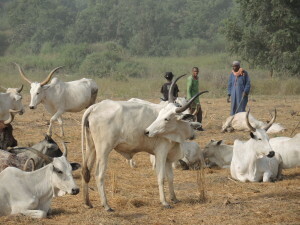 During the dry season the young Fulani men still walk long distances with their herds in search of natural grazing land and water, while women, children and elderly people stay at home with a few cows and their young calves. The coming days and weeks Marcella and I were readily accepted and allowed to film in the Fulani villages, because our videos were related to a project that the Fulani had been involved in for four years, and they appreciated the new developments that the project brought. 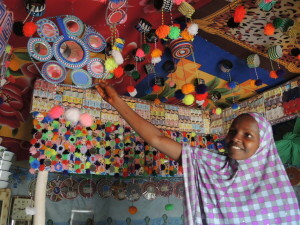 Marcella soon befriended some Fulani women, who proudly showed her the various handicrafts with which they decorate their adobe huts. 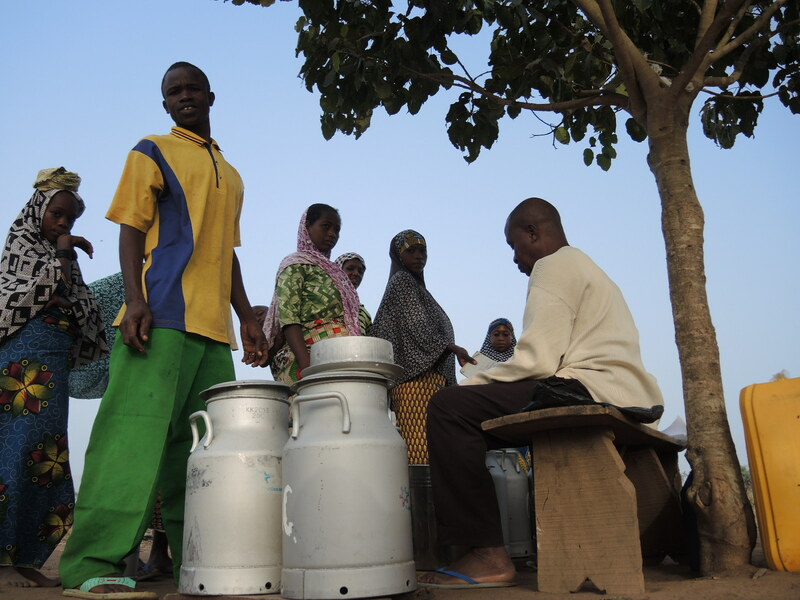 While the health and management of the herd is the men’s responsibility, selling milk is the women’s business. 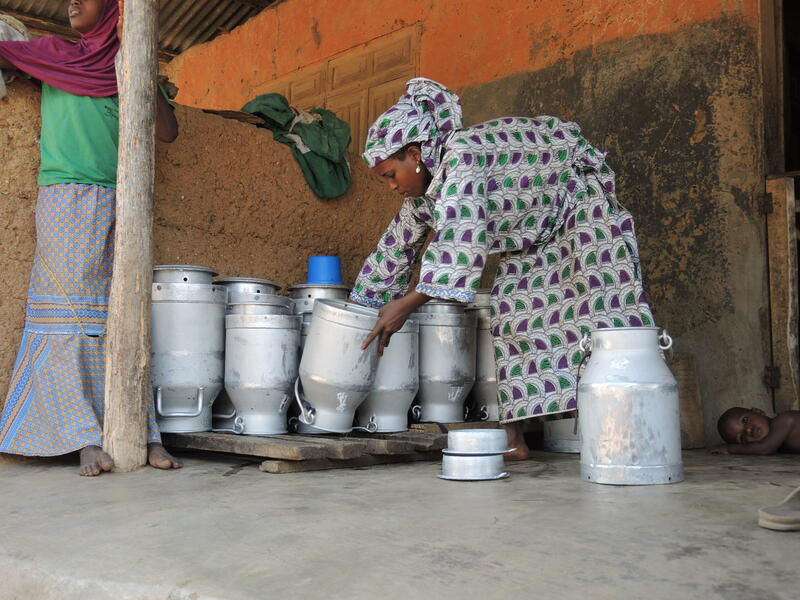 Traditionally, lacking any cooling facilities, Fulani women use milk to make cheese and some other products. But for the past four years, in various villages in Oyo State, the Fulani women have also started selling fresh milk to FrieslandCampina, a Dutch dairy company that supplies millions of customers across the world. The entire process of linking a traditional society to a modern milk plant is facilitated by the Netherlands-funded 2SCALE project, managed by IFDC. The project supports the Nigerian government’s Dairy Development Program, which aims at sourcing 10% of the milk locally. So far, FrieslandCampina-WAMCO in Nigeria had only processed milk imported from the Netherlands, the USA and other western countries. Selling milk to a modern dairy plant is a drastic change for a traditional herding society. Quality standards and procedures need to be respected day after day. The company pays a fair price but requires strict hygiene: they only buy milk that is clean, fresh and not adulterated. To keep the milk fresh, it must be cooled immediately after milking. This has led to a new profession: the milk transporters. 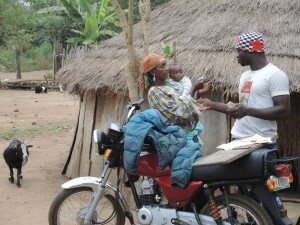 These young men use a motorcycle, often modified with a carrying rack to collect milk from various Fulani families to bring it quickly to a milk collection centre. While some transporters are Fulani people, also Yoruba people from nearby villages and even people from other countries have been able to earn the trust of both the Fulani milk producers and the milk company. The women then approached Raufu Jelili, the assistant of the milk transporter, in whom they had more trust. Augustin was originally a tailor from Kumasi, Ghana, but his search for business led him to Alaga village in Nigeria. 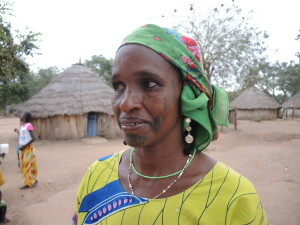 The Fulani people appreciated his skills, gave him plenty of work, and so Augustin became a new villager. 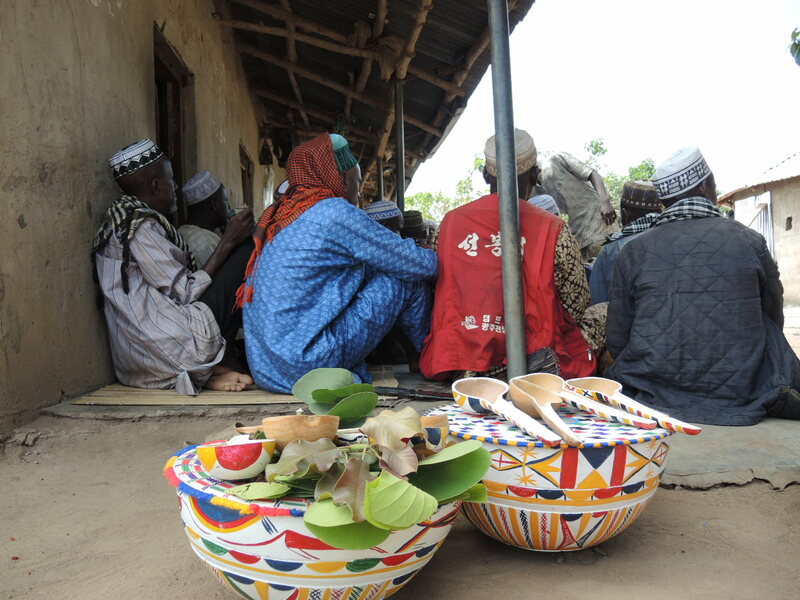 When in the early days of the milk selling business there were some issues with the women not being paid correctly by the intermediary, the Fulani turned to Augustin and asked him if he would like to become their intermediary with the company. 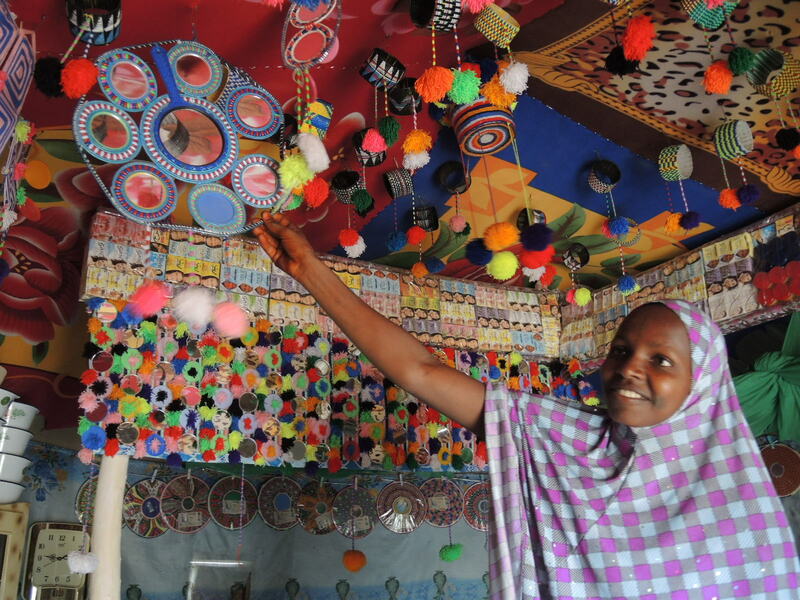 Augustin had earned the women’s trust as a tailor, so now he could start a new business. Augustin accepted the offer, and began to bulk milk and send it to the collection centre. He opened a special bank account into which the company pays him twice a week for the milk. Every morning, Augustin measures the amount of milk supplied by each family before pouring it through a sieve into a 20-liter aluminium milk can. In a notebook he writes down the name of the person and the amount of milk she brings in. This determines the amount of money he pays her. Such social relations do not happen overnight. When linking farmers and herders to food companies, a successful project can help bridge barriers of language, gender and ethnicity. Honest business benefits everyone involved, and nurtures their trust, with a little help from cell phones, note books and bank accounts.